The April 2019 edition of the Chiltern Branch newsletter is here>>. The March 2019 edition of the Chiltern Branch newsletter is here>>. A favourable report about the re-opened Biggin Hill Memorial Chapel by a past National Secretary of the ACA is here>>. The February 2019 edition of the Chiltern Branch newsletter is here>>. The January 2019 edition of the Chiltern Branch newsletter is here>>. The December 2018 edition of the Chiltern Branch newsletter is here>>. Thanks, Graham! The 2019 programme of events at the Newark Air Museum is here>>. The November 2018 edition of the Chiltern Branch newsletter is here>>. A meeting of the trustees of the ACA Archive Trust will be held on 21 November 2018. Trustee and contact details here>>. Former members of the ACA Council met for lunch at the RAF Club on 12 October. Report here>>. The October 2018 edition of the Chiltern Branch newsletter is here>>. A resport on the memorial to the loss of two Lancasters and crews on 1 September 1943 has been unveiled at Bleasby in Nottinghamshire. Details here>. The September 2018 edition of the Chiltern Branch newsletter is here>>. We have received a request for WWII Dakota crews or parachutists to contribute their experiences to a C-47 restoration project aimed at the 2019 75th anniversary of the D-Day landings. Details here>>. Applications are invited to attend the Battle of Britain Memorial Service in Westminster Abbey on Sunday 16 September 2018. Details here>>. The August 2018 edition of the Chiltern Branch newsletter is here>>. There are opportunities for veterans to visit the aircraft tour on Horse Guards Parade between 09.00 and 11.00 on the mornings of 6–9 July inclusive, but this must be pre-booked via RAF100@rafa.org.uk. This session is aimed at veterans and will be alongside other groups such as cadets while it is cooler and before the site opens to the public at 11.00. It is appreciated that some RAF veterans (of any age) may need some additional support in order for them to be able to attend. Information about the other dates and locations can be found here>>. The July 2018 edition of the Chiltern Branch newsletter is here>>. St. Georges RAF Chapel of Remembrance Biggin Hill has a stained glass window given by ACA. The Chapel has been closed for a year to allow for building work on site (not in the Chapel). It reopens on November 11th. with a Remembrance Day Service. For more information email The Friends of St. Georges secretary Margaret Wilmot. The June 2018 edition of the Chiltern Branch newsletter is here>>. The May 2018 edition of the Chiltern Branch newsletter is here>>. Newark Air Museum have just published a book on the history of RAF Balderton, a wartime RAF station. For details of the book and other news from the museum, see here>>. The April 2018 edition of the Chiltern Branch newsletter is here>>. The March 2018 edition of the Chiltern Branch newsletter is here>>. ACM Sir Peter Squires, CAS in the early 2000s, sadly died suddenly on 19 February 2018 A web-based book of condolences is here>>. The February 2018 edition of the Chiltern Branch newsletter is here>>. We are very sad to record the death of past ACA Chairman Sqn Ldr Peter Crouch AFM on 14 January. Funeral details here>>. The December 2017 edition of the Chiltern Branch newsletter is here>> and the January 2018 edition is here>>. The November edition of the Chiltern Branch newsletter is here>>. Update on the future of the ACA Memorial Window in the Biggin Hill Memorial Chapel is here>>. The October edition of the Chiltern Branch newsletter is here>>. The September edition of the Chiltern Branch newsletter is here>>. The August edition of the Chiltern Branch newsletter is here>>. The July edition of the Chiltern Branch newsletter is here>>. The annual Battle of Britain Thanksgiving Service will be held in Westminster Abbey on Sunday 17 September 2017. Details and how to apply for seats here>>. The June edition of the Chiltern Branch newsletter is here>>. See 15 Apr 2017 below. Bromley Council has approved plans to demolish the part of St Georges Chapel that contains the ACA Memorial Window without, as far as can be determined from documents available on the web, specifying a future for the ACA window. Details under item 4.1 here>>. Newark Air Museum Hastings and Shackleton 40th Anniversary weekend 20-21 May 2017. Details here>>. 9000 fallen soldiers etched into the Normandy sand which were largely ignored by the press are shown here>>. Those with an interest in Biggin Hill and the Battle of Britain should be aware of plans submitted by Biggin Hill Memorial Trust to Bromley Council proposing major changes to St Georges RAF Chapel including demolishing an annexe containing an ACA stained glass window. Details are here>>. Comments may be made via the Comments tab on that web page by 18 April. The April edition of the Chiltern Branch newsletter is here>> plus Jim's Story. The Annual Act of Commemoration to honour those who lost their lives will be held at the Air Forces Memorial at Runnymede (Cooper’s Hill Lane, Englefield Green, Egham, Surrey TW20 0LB) on Sunday 7 May 2017 at 11.00 am. With apologies for their late availability due webmaster absence, the October and November Chiltern Branch newsletters can now be viewed. Details of the 2016 Battle of Britain Service of Thanksgiving and Rededication on Sunday 18 September 2016, including how to obtain tickets, are here>>. The May edition of the Chiltern Branch newsletter is here>>. The XS422 Lightning T5 return to flight project is looking £75,000 through their Kickstarter appeal. See here>> for details. They've a long way to go before the appeal closes at 2359 hours on 30 Apr 2016. Your contribution will be very welcome! The April edition of the Chiltern Branch newsletter is here>>. A memorial event is being held at Yeovilton on 21 July 2016 to celebrate the life and achievments of renowned test pilot Capt 'Winkle' Brown RN. More details here>>. Now is the time to book places at the RAF Air Loadmaster Association service at St Clement Danes in London on 8 May 2016. Details here>>. The March edition of the Chiltern Branch newsletter is here>>. The RAF Sports Lottery is in need of more particpants. Open to all serving and past members of the RAF. Details here>>. RAF Air Gunner Tom Tate has died aged 98 with no known relatives. It would be much appreciated if the ACA was represented at his funeral in Amersham on 10 Feb. Details on the Aircrew Forum here>>. The February 2016 edition of the Chiltern Branch newsletter is here>>. If any branch has set up as a Limited Company, they might like to contact the webmaster for a copy of the Sussex Branch note about their experiences when winding up the company and reverting to a simpler management structure. The January 2016 edition of the Chiltern Branch newsletter is here>>. The December edition of the Chiltern Branch newsletter is here>>. ACA members are invited to attend the RAF Air Loadmaster Association service at St Clement Danes in London on 8 May 2016. Details here>>. Support the RAF Benevolent fund by buying their Christmas cards - see here>>. Sad to report that Air Marshal Peter Walker CB CBE, the final President of the Aircrew Association, died suddenly on 6 September 2015 aged 65. The ACA Golfing Society 2016 fixture list is here>>. Bomber Command veterans sought for memorial unveilingin Lincoln 0n 2 October. Details here>>. The August 2015 Chiltern Branch newsletter is here>>. The July 2015 Chiltern Branch newsletter is here>>. MOD announces plans for 70th anninversay of VJ day on 15 SAugust 2015. See here>>. Talk by decorated WWII navigator David Golding in Arundel 7pm 4 July 2015. Details here>>. The June 2015 Chiltern Branch newsletter is here>>. Applications are now being accepted for attendance at the Battle of Britain Memorial Service in Westminster Abbey on Sunday 20 September 2015. Closing date is 17 July. Details here>>. The May 2015 Chiltern Branch newsletter is here>>. New Aviation Memorial to be unveiled at Broomhill Grange, Nottinghamshire on 19 June 2015. Details here>>. Newark Air Museum's 2015 event list is here>>. The April Chiltern Branch newsletter is here>>. The March 2015 Chiltern Branch newsletter is here>>. Details of Armed Forces Day on 27 June 2015 and how to apply for grants are here>>. The February 2015 Chiltern Branch newsletter is here>>. Those who are concerned at the threat to close the RAF Chapel of Remembrance at Biggin Hill may wish to note the e-petition here>> Also note the Prime Minister's committment to this memorial given near the end of PMQs on 7 Jan 15. The January 2015 Chiltern Branch newsletter is here>>. The next Project Propeller WWII aircrew reunion will be at Cosford on 30 May 2015. Details and how to apply here>>. The December 2014 Chiltern Branch newsletter is here>>. Film maker Andrew Panton seeks inputs from all Lancaster veterans or their family members who can provide insights into the missions that involved the TallBoy and Grand Slam bombs. For example: the Tirpitz raids; raids on V2 and V3 sites; and the raids on Bielefeld, Arnsberg, Arbergen, Nienburg Farge (March 1945), Hamburg and Heligoland(April 1945). The information will be used in a series of short educational films to help various UK aviation museums develop a lasting legacy for future generations to learn from. If you feel you can contribute insights and stories please email Andrew Panton and he will follow up with you. Book signing for RAF Winthorpe - The Story of an Airfield 1939-1959 at the Newark Air Museum 15 November. Details here>>. The November Chiltern Branch newsletter is here>>. The Autumn 2014 newsletter of the Sussex Branch is here>>. ACA Golfing Society 2015 newsletter with booking forms for fixtures is here>>. The October 2014 Chiltern Branch newsletter is here>> and includes an update from Des Richard on his recent medical problems. Air Cdre Des Richard, last Chairman of the ACA, is seriously ill in Cobham Ward, Luton and Dunstable Hospital. No visitors before the end of the week. The September 2014 Chiltern Branch newsletter is here>> and includes dates, times and places where the two flying Lancasters are due to appear at public displays during September 2014. The August 2014 Chiltern Branch newsletter is here>>. The July 2014 Chiltern Branch newsletter is here>>. New Forces 24-hour TV channel operated by SSVC opens on Sky 299, Virgin 244 and Freesat 652 with news, live events, features and documentaries about every aspect of the armed forces including operations, equipment, training, welfare, sport, charity fundraising and forces family life. See associated web site here>>. Details of the 74th Battle of Britain Memorial Service to be held in Westminster Abbey on Sunday 21 September 2014 are here>>. Written applications required by 18 July 2014. The June 2014 Chiltern Branch newsletter is here>>. The May 2014 Chiltern Branch newsletter is here>>. The April 2014 Chiltern Branch newsletter is here>>. The 2014 Red Arrows programme is here>>. Newark Air Museum V-Force Tribute 2014 on 17 & 18 May. Details here>>. The March 2014 Chiltern Branch Newsletter is here>>. Appeal to veterans interested in going to Normandy for the 70th anniversary of the D-Day landings to contact the Royal British Legion is here>>. Project Propeller 2014 will be on 21 June at Gloucester Airport. Details here>>. MOD invites funding bids for Armed Forces Day 2014. Deadline 28 March. Details here>>. The February 2014 Chiltern Branch newsetter is here>>. MOD announces support for commemoration of the 70th anniversary of the Normandy Landings 5-6 June 2014. Press release here>>. The January 2014 Chiltern Branch newsletter is here>>. The ACA Archive Trust has declined to continue sponsoring this web site. The webmaster is therefore continuing to run the site independently with welcome support from the Woking and Surrey Branches. The December Chiltern Branch newsletter is here>>. The January 2014 ACA Golfing Society Newsletter is here>>. The IWM Duxford programe for the next year is here>>. The Chiltern Branch November newsletter is here>>. Free admission to IWM Duxford on Remembrance Sunday. Details here>>. The Autumn 2013 Sussex Branch newsletter is here>>. The October Chiltern newsletter is here>>. The September 2013 Chiltern Branch newsletter is here>>. Mill Rythe Holiday Village on Hayling Island offers veterans and serving members of the armed forces discounted short breaks from 16 and 20 September 2013. Details here>>. 24 Sqn Reunion and AGM at RAF Brize Norton on Saturday 5 October 2013. 2013 will be the 98th Anniversary of XXIV Squadron. Details here>>. Update on Canadian Halifax 57 Rescue Project here>>. RAF Museum London open in the evenings over Battle of Britain weekend 14-15 September 2013. Free admission. Details here>>. Update on Defence Discount Service, which is open to veterans, here>>. Report on the Grand Opening of the ACA Building at YAM is here>>. The August 2013 Chiltern Branch newsletter is here>>. The July 2013 Chiltern Branch newsletter is here>>. ACA Golfing Society 2014 fixture list published here>>. RAF Linton-on-Ouse will provide a 4-ship flypast at YAM at 12:35 in support of the ACA Grand Opening on 24 July. Programme for ACA event at Yorkshire Air Museum on 24 July 2013 is here>> and details of transport from York station are here>>. Invitation to ACA members to attend final ACA event: opening of the new ACA building at Yorkshire Air Museum on 24 July. Details here>>. News of the Lincolnshire Bomber Command Memorial here>>. Important changes to parking arrangemnets for Medway on Armed Forces Day 29 June. Updated details here>> and revised parking pass here>>. June 2013 Ciltern Branch newsletter is here>>. New 20-minute Lancaster movie to premiere on 28 June at the Lincolnshire Aviation Heritage Centre. For free tickets and details, see here>>. Service in Westminster Abbey on 11 July 2013 will mark the 60th anniversary of the Korean War. Details and how to apply for places are given here>>. RAF Museum London celebrates the 70th anniversary of the Dambuster raid. Details here>>. Pictures from the 2013 opening match of the ACA Golfing Society are here>. The May 2013 edition of the Chiltern Branch newsletter is here>>. The Spring 2013 Sussex Branch newsletter is here>>. Invitation to attend the Grand Opening of the new ACA Building at YAM is here>>. Annual Act of Commemoration at Runnymede Memorial is on 12 May 2013. Details here>>. Opening ceremony for the new ACA Building at Yorkshire Air Museum will be on Wednesday 24 July 2013. Details to follow. Workshop on Airpower and using the RAF Museum Hendon archives on 22 March 2013. Prior registration required. Details here>>. Invitation to attend the Battle of Britain Memorial Trust Annual Memorial Day on Sunday 14 July 2013 at the National Memorial, Capel le Ferne, Folkestone. Details here>>. War & Peace Revival at RAF Westenhangar (near Hythe, Kent) 17-21 July 2013 invites veterans of WWII, Korea and National Service. Details here>>. March 2013 Chiltern Branch newsletter is here>>. Communities encouraged to apply for funding for Armed Forces Day events on 29 June 2013. Details here>>. The Feb 2013 Chiltern Newsletter is here>>. Forces Discount Directory published here>>. Open to veterans. Details of the Lincolnshire Bomber Command Memorial appeal are here>>. Chiltern Branch January 2013 newsletter is here>>. IWM Duxford announce their 2013 air show programme here>>. Defence Discount Service launched with free membership including veterans. Details here>>. Sussex ACA Autumn 2012 newsletter is here>>. December 2012 Chiltern branch newsletter is here>>. Update on the Aircrew Association Archive Trust is here>>. News of the Veterans and Reserves Mental Health Programme is here>>. The new web site of the RAF Flight Engineer and Air Engineer Association is here>>. The Winter 2012 newsletter of the Queen Alexandra Hospital Home in Worthing is here>>. November edition of Flight Plan, newsletter of Ontario ACA, is here>>. Chiltern Branch November newsletter is here>>. Latest newsletter of the ACA Golfing Society is here>>. Progress report on Canadian Halifax recovery project is here>>. Beachy Head Bomber Command Memorial was unvield in July 2012. See here>> and here>>. A3T building at Yorkshire Air Museum handed over by builders ready for fitting out. See here>>. The ACA honorary chaplain, Bill Pegg, has graciously accepted the appointment of Chaplain Emeritus to the ACA Archive Trust. See here>>. Veterans UK have published another poidcast explaining progress on the Armed Frorces Covenant here>>. Lincolnshire Bomber Command Memorial Appeal web site is now live here>>. They would welcome submission of relevant memories by e-mail . Bomber Command Museum of Canada honoured with Five Queen's Jubilee medals. Details here>>. Last ACA Council members lay wreath at the National Arboretum. Details here>>. Veterans are invited to apply for tickets to a service on 27 October 2012 in Westminster Abbey followed by a reception to mark the 70th anniversary of El Alamein. Details here>>. AHL have posted a video about Tad Wier, a wartime Polish Lancaster pilot, here>>. Further pictures of the YAM ACA building here>>. ACA Cyprus launches new web site here>>. An excellent illustrated report from ACA Canada on the Bomber Command Memorial ceremony is here>>. New Polish Aviation Display at Grantham Museum. Details here>>. Sussex Branch newsletter including their attendance at the dedicatiuon of the Bomber Command Memorial is here>>. August Chiltern Branch newsletter is here>> and includes a general invitation to join the Chiltern Branch for lunch on 28 September in Abingdon - book in advance - see pages 7 and 8. Update on progress with the A3T building project at Yorkshire Air Museum is here>>. RAF Museum launches new web site here>>. Temporary display at Grantham Museum “Polish Air Force: First To Fight" opens on 3 August 2012. Details here>>. 420 Sqn and RCAF talk at RAF Waddington 7pm 7 August 2012. Details here>>. 504Sqn memorial unveiled at Hucknall. Details here>>. RAF Benevolent Fund appeals for legacies. Details here>>. July 2012 Chiltern Branch newsletter is here>>. Northen Ireland Veterans Service of Remembrance at the National Arboretum on 22 September 2012. Details here>>. Celebration of the unveiling of the Bomber Command Memorial at the Victory Services Club, Marble Arch, on 28 June 2012. Details here>>. Medway Armed Forces Day 30 June 2012. Details here>>. ACA Greater Vancouver branch newsletter for June 2012 is here>>. Historic images from the RAF Museum avaiable for viewing HERE. Talk on 23 June 2012 in Lincoln on WWI aviation in Lincolnshire. Details HERE. Ledbury Battle of Britain Memorial Day 16 September 2012 requests ACA guests. Details HERE. ACA central funds distributed after final audit. Details HERE. Final flying participation for Duxford Flying Legends airshow on 30 June HERE. 10% off RAF Museum gift range until 17 June 2012. Details HERE. Newark Air Museum Cockpit-Fest 16-17 June 2012. Details HERE. Details of the Armed Forces Jubilee Spectacular at Windsor on 19 May 2012 HERE. RAFBF supports St Nicholas Hospice Care, Bury St Edmunds. Details HERE. Completing the RAF Museum survey before 21 May offers entry into a prize draw for a £100 Amazon voucher. Survey is HERE. Seahaven FM broadcast includes Chiltern's Graham Laurie 1800-1900 on Sunday 6 May. Listen HERE. Veterans Day at the RAF Museum Hendon on Wednesday 16 May. Details HERE. Details of the new Queen Alexandra Hospital Home website and newsletter are HERE. Those within range of Plymouth may wish to take up the offer of a free bottle of wine with their meal HERE. The Annual Commemorative Ceremony at the Commonwealth Air Force Memorial, Runnymede will be held on Sunday 13th May 2012 at 1100. No advance booking required. All welcome. Warfare magazine launches new web site HERE. IWM Duxford 1940s Vintage Village at Flying Legends Air Show 30 Jun-1 Jul 2012. Details HERE. Lincolnshire talk on 16 May 2012 about QE2 as a troop ship during the Falklands War. Details HERE. Podcast explaining the role of the Veterans' Welfare Service is HERE. Medway Armed Forces Day 30 June 2012 invitation to veterans HERE. RAF Museum on BBC2 at 9pm on Friday 6 April 2012. Details HERE. First flying displays announced for IWM Duxford Jubilee Air Show 27 May. Details HERE. A new promotional video for aviation heritage sites in Lincolnshire can be viewed HERE or HERE. Management changes at the Royal Air Force Benevolent Fund. Details HERE. Armed Forces participation in Diamond Jubilee Weekend. Details HERE. RAF Valley seeks sponsorship for their running the London Marathon for RAFBF. Details HERE. Details of a UK Mosquito restoration project are HERE. The latest RAF Museum newsletter is HERE. ACA Archive Trust update from the Chairman is HERE. SR-71 Blackbird pilot talk and tour at IWM Duxford 11am Sunday 11 March 2012. Details HERE. Royal British Legion coach tour to mark the 70th anniversary of the Dieppe raid 17-20 August 2012. Details HERE. IWM Duxford Jubilee Air Show 27 May 2012. Details HERE of special offer for seniors. Cold War Fast Jet Reunion at Shuttleworth 7 Oct 2012. Details HERE. Forces tribute to HM The Queen on 19 May at Windsor including BBC broadcast. Initial details HERE. Talk in Woodhall Spa on 17 Apr 2012 to mark the 70th anniversary of the Augsburg raid. Details HERE. Bomber Command Memorial update and invitation to reunion prior to dedication and unveiling on 27 June 2012 HERE. Deadline extended to 29 Feb.
Prize Draw in aid of RAFA and Malta Red Cross to commemorate the 70th anniversary of Malta GC. Closing date 10 Aug 2012. Details HERE. A new For Your Tomorrow DVD about the WWII Burma campaign is available HERE. New Interpretation Board unveiled at the Lancaster W4270 memorial in Notts. Details HERE. Project Propeller 2012 details HERE, with background information HERE. North Kesteven 'Behind the Scenes' visit programme to RAF Cranwell, Digby and Waddington is HERE. Further details HERE. Duxford 2012 Air Show dates and advance ticket information HERE. BBC2's FLOGIT! valuation day at Duxford on 24 Jan 2012. Details HERE. 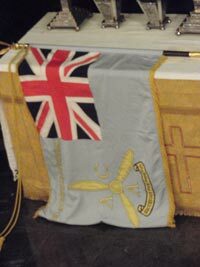 10 places are available to ACA members at the annual RAF St Clement Danes service on 25 Mar 2012. To bid for places, email via HERE before 27 Jan 2012. 2012 Veterans UK Customer Satisfaction Survey is HERE, with a supporting audio podcast HERE. Veterans UK videocasts are available HERE. Information sought about RAF Winthorpe. Details HERE. Local Veterans Support Groups created. See HERE. Report and pictures of the John Magee memorial weekend in Lincoln is HERE. Farewell message from the ACA Chairman is HERE. Vulcan to the Sky Trust Salute to Her Majesty on her Diamond Jubilee and the Vulcan's 60th anniversary in 2012. Details HERE. Events in Lincoln 10/11 December 2011 to celebrate P/O John Magee, writer of the poem High Flight. Details HERE. Calling all ex V-Force Lincolnshire. See HERE. Veterans to wear Malaysia Medal. Details HERE. Bomber Boys on Channel 5 at 8pm 10 November 2011. See HERE. RAF 'Unsung Heroes' UK Concert Tour details HERE. New form-based email system throughout this web site no longer requires an email client program on the user's computer. Latest Archivist's report is HERE. ACA Charitable Fund details updated. See HERE. Royal British Legion Remembrance Day concert at Lakeside, Surrey on 11 November 2011. 2011 RAF Benevolent Fund Xmas cards on sale. ACA Golfing Society page added HERE. Air Loadmaster Memorial to be dedicated on 14 Oct 2011 at the National Memorial Arboretum. Donations still required. See HERE. In Memoriam data from Intercom now goes back to 2006 and includes all notified deaths since the last Intercom copy date in April 2011. See HERE. Important message from the ACA Archive Trustees is HERE. 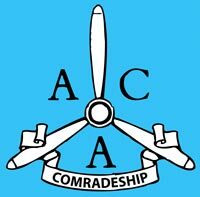 The Aircrew Association (ACA) was formed in 1977 to foster comradeship amongst those who, having been awarded an official flying badge, qualified to operate military aircraft in the armed services of the UK, its allies and the Commonwealth. Under the central ACA organisation, many branches were established in the UK and overseas where aircrew could meet and enjoy like-minded company. The Intercom house magazine enabled members worldwide to exchange news. The great majority of members were aircrew from WWII and inevitably time has taken its toll. As a result of declining membership, the central ACA organisation disbanded in Summer 2011, leaving branches to continue independently. This web site is intended to facilitate continuing inter-branch communication now that Intercom has ceased publication. Each independent ACA branch is invited to establish and maintain a thread on the forum into which their branch news is posted at regular intervals in place of their previous contributions to Intercom. If there are any changes to branch points of contact, or if the status of the branch should change, please email the webmaster so that branch details can be kept up to date. Those wishing to contact a branch of the ACA should do so by email via the contact page. Please notify the webmaster if any such emails fail to get through. Items of general interest such as national events relevant to ACA branches should be notified by email to the webmaster so that they may be given due prominence on the site. Intercom published a list of ACA members who had passed on. This web site includes a page HERE to continue this tradition, but will require branches to supply the necessary data by email to the webmaster. The ACA Archive Trust seeks to preserve key aircrew memorabilia contributed by members and their beneficiaries. Please see the ACA Archive Trust page for details. The ACA Building, which opened at Yorkshire Air Museum in 2013, was the last major project for the Archive Trust, but the archivist continues to welcome donations of aircrew memorabilia to add to the collection at Yorkshire Air Museum. The Aircrew Association Charitable Fund became a registered charity in 1986, since when it has assisted many people who have been in urgent need of financial assistance. Following disbandment of the central AirCrew Association, the Charitable Fund has become part of SSAFA. See the ACA Charitable Fund page for details.